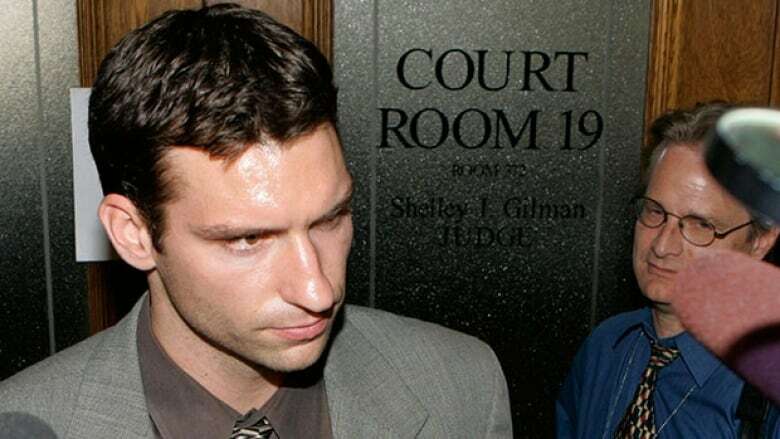 Lawyers for former NHL player Steve Moore are in court in Toronto today trying to force the former owner of the Vancouver Canucks to testify in Moore's lawsuit against Todd Bertuzzi. The former owner of the Vancouver Canucks should be forced to answer, in front of a jury, if he approved a career-ending sucker punch on Steve Moore, a lawyer for the former NHL player argued in court Thursday. McCaw's lawyer, Steven Frankel, argued that the court doesn't have jurisdiction to do that and suggested Danson is trying to an "end run" around very specific court rules. Frankel said there is no evidence before the court that McCaw, who is not an individual defendant, even has relevant evidence to give. Bertuzzi pleaded guilty to a criminal charge of assault causing bodily harm and was sentenced in 2006 to a year's probation and 80 hours of community service. He also served a multi-game suspension from the NHL.